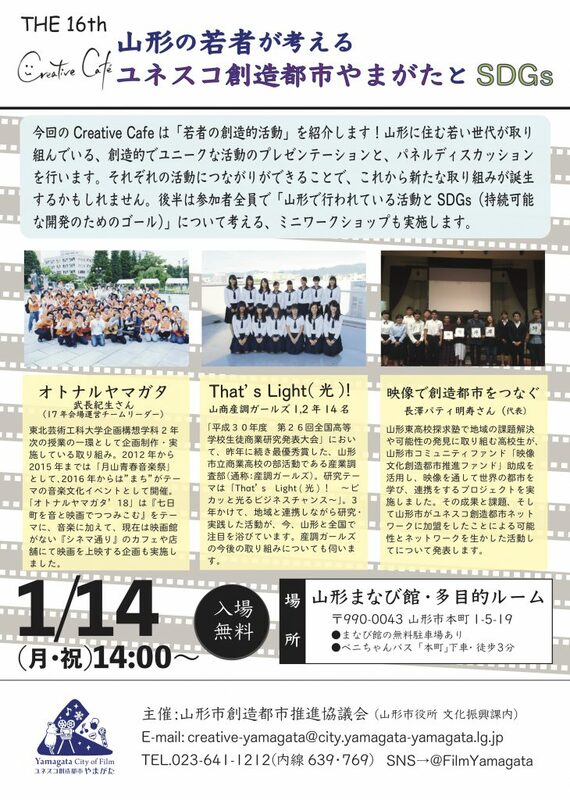 > Information > Creative Cafe > The 16th Creative Café “Young generations, Yamagata City of Film, and SDGs” was held! The 16th Creative Café “Young generations, Yamagata City of Film, and SDGs” was held! 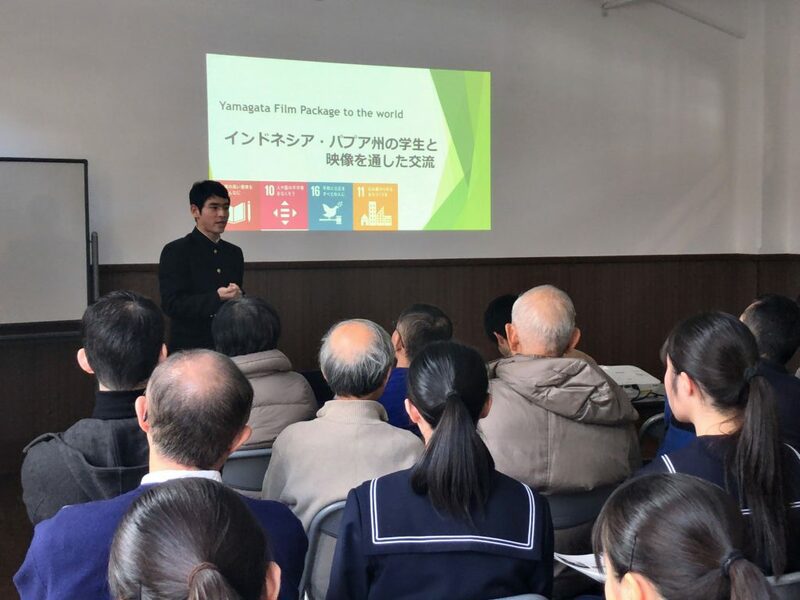 On Monday, 14 January 2019, we held the 16th Creative Café “Young generations, Yamagata City of Film, and SDGs” at Yamagata Manabikan. We invited young generations who live in Yamagata to give a presentation about their unique and creative activities and performed a panel discussion. 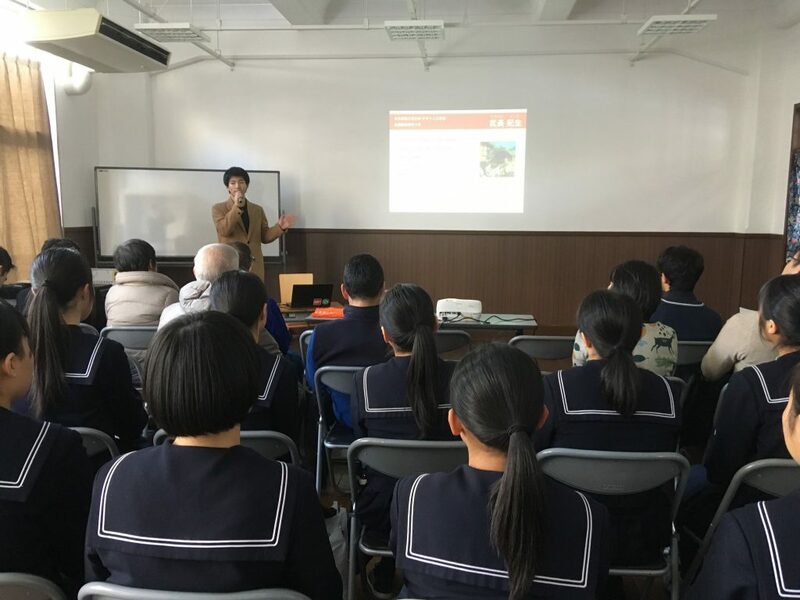 The first presenter was Mr. Yoshiki Takenaga, a senior of Tohoku University of Art and Design and the venue management leader for the “Otonaru Yamagata” held in 2017. “Otonaru Yamagata” is an annual cultural event organized by the students of Tohoku University of Art and Design and held at the central Yamagata in every July. While his team had only three months to prepare for the event, he successfully managed to hold a music event entitling “the city”. At the time of 2017, he was the creator of the event. In 2018, drawing on his past experience, he turned to be a supporter for the next team. His presentation was so hopeful that we could expect further development for the event “Otonaru Yamagata” and himself. 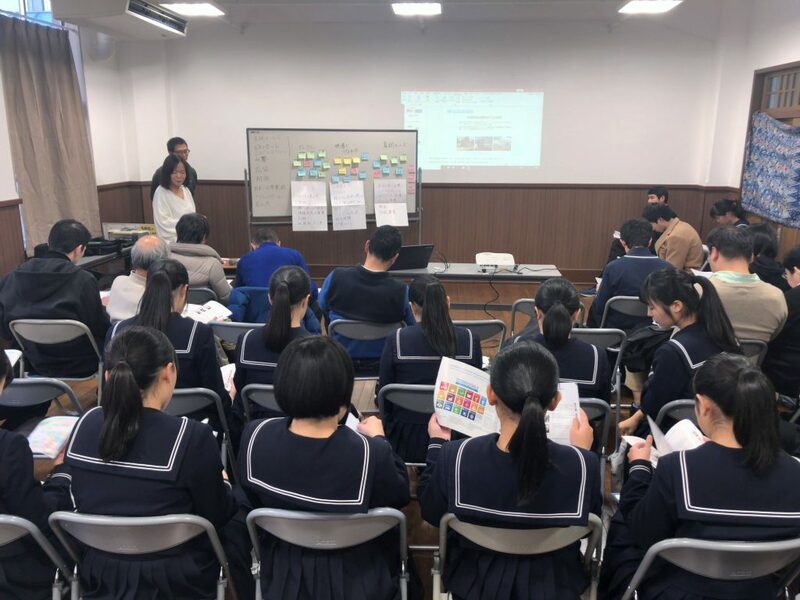 The second presenter were freshmen and sophomores of so called “Sancho Girls“, the Industrial Survey Club of Yamagata Commercial High School. They won the grad prix for the the High School Students’ National Competition for Industrial Survey twice in 2017 and 2018. 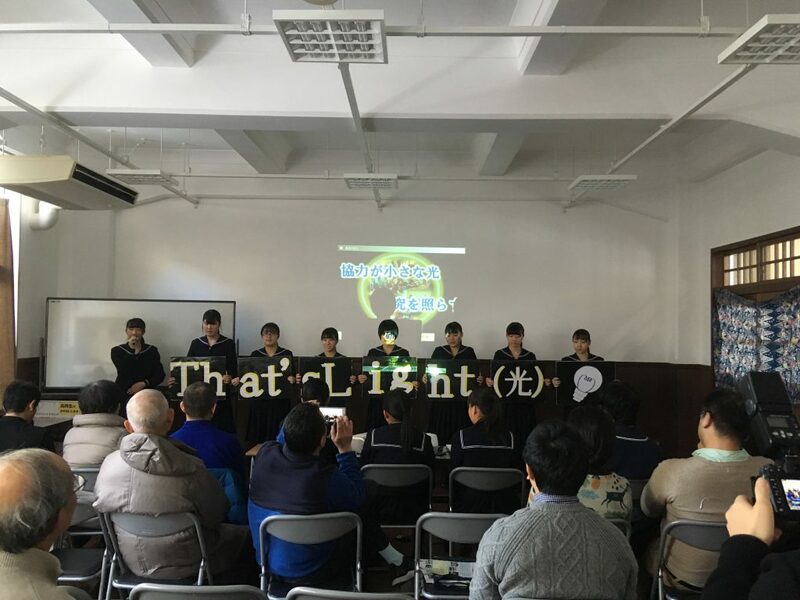 After the juniors’ retirement, it was their first presentation as a new team in front of the public. However, the participants were amazed by the high quality of their national winning presentation. Some people said “we should make their presentation into a video, translate it to other languages, and show them to the world!“. For this year, they have already started surveying behavioral economics. 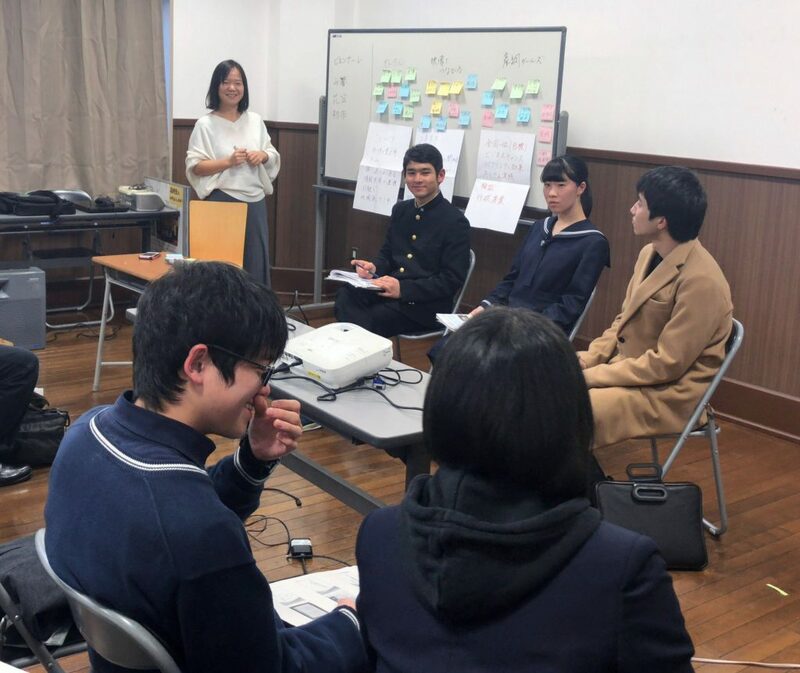 The final presenter was Mr. Akitosh Pati Nagasawa, a sophomore of Yamagata Prefectural East High School and the project leader of “Connecting the world through Film”. He has been actively engaging in the Yamagata City’s creative projects. He first introduced his activity and explained his discovery through his experience. He said “Creative city initiative is meant to create human exchanges and mutual understandings regardless of difference in their cities.” To further promote his project, he is planning to gather more high school students in and out of Yamagata and Japan to cooperate and contribute to develop the initiatives of the UNESCO Creative Cities Network by high school students. In the panel discussion, the representatives came up in the front and talked their impressions about other two presentations. 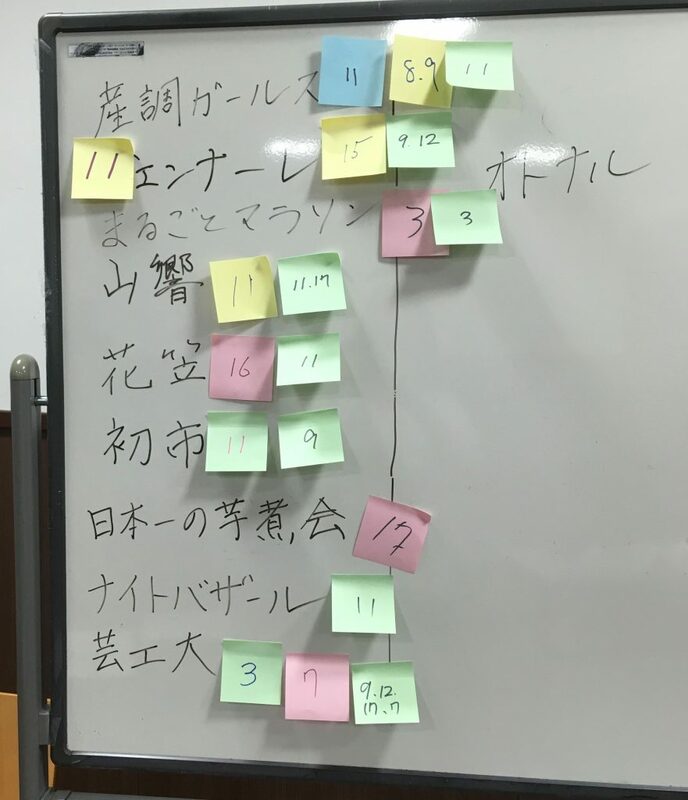 They discovered that their activities are all different but had two common purposes: 1) to connect with local area and 2) to revitalize Yamagata City. While they are all unique activities in culture, industry, and international relation, they all shared the same vision. At last, Yamagata Creative City Promotion Council staff, Mr.Nagasawa, gave a short lecture about Sustainable Development Goals. Further, all the participants gave a thought about creative activities in Yamagata City. We would like you to think about two questions. 1) What kind of creative activity does Yamagata have? 2) What is the number of SDGs would you suggest to come up with that activity?